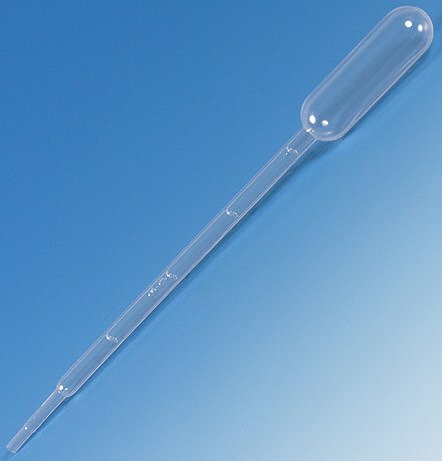 These one-piece, unbreakable low-density polyethylene plastic transfer pipettes are inert to biological fluids and most acids. They are a great alternative to Pasteur pipettes as you no longer have to deal with the hazards of broken glass and finding the correct bulb for your experiment. Since they are disposable, you longer have to worry about cross contamination between samples. They are well-suited for blood banking (2 mL size), urinalysis, hematology, wet chemistry, microbiology, and serology. The low-affinity surface reduces the loss of cells and valuable proteins due to binding. Can be sealed and refrigerated. Simport Dropette’s are temperature resistant down to -196 °C. They can be sealed and refrigerated. 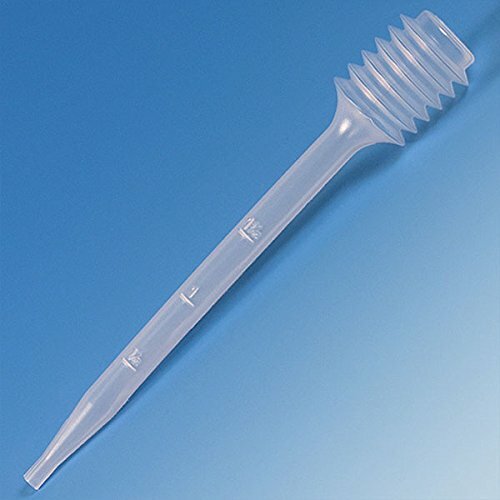 Globe Scientific has created an accordian-shaped, high capacity bulb known as the bellows pipette which acts as a reservoir for liquids. This uniquely shaped bulb provides strong suction and is perfectly suited to be used in conjunction with highly viscous liquids. 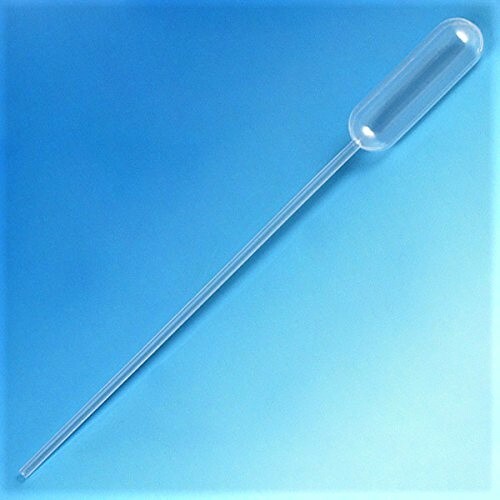 Extra Long transfer pipettes are ideal for situations requiring you to reach into larger bottles or longer necked containers to be able to aspirate the contents. Some disposable transfer pipettes come equipped with larger bulbs. This allows operators to aspirate greater volumes of liquid at a time, reducing time waste between dispensing the samples and new aspirations. Transfer pipettes featuring fine tips are ideal for dispensing small volumes, loading hemocytometers, and transferring liquid to and from multi-well plates. The fine tip of these transfer pipettes allows you to have greater control on the speed of dispensing, making measurements more accurate. 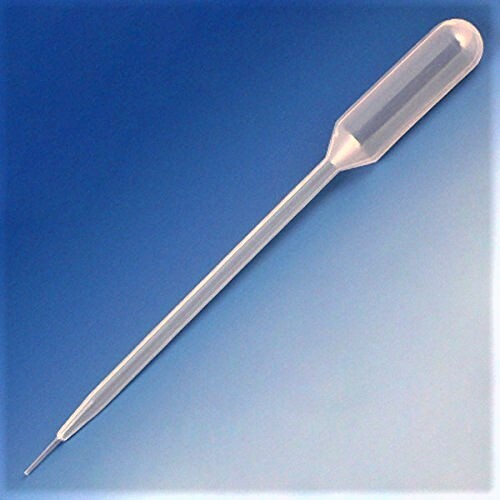 Narrow stem transfer pipettes are flexible and can bend to access narrow openings or small diameter tubes. These transfer pipettes are ideal for diagnostic labs, blood banks, and small volume labs. 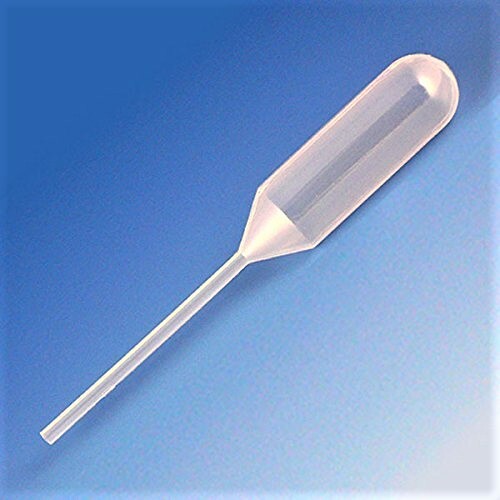 The exact volume transfer pipettes feature a wide bore tip opening designed to specifically handle viscous liquids along with small particulates. This transfer pipette works perfectly within laboratories handing biofuel, petroleum, water treatment, food/beverage and pathology work. Blood bank transfer pipettes feature a large bulb, wide opening, and thicker bulb to transfer blood samples from tubes and vials. These transfer pipettes are offered in sizes up to 4 mL and 5 mL to suit large samples and make dispensing easy with their specially designed tip. Disposable Transfer Pipettes will not shatter or break. Making them ideal for any laboratory from manufacturing and research to academic settings. Heathrow Scientific Transfer Pipettes are one-piece unbreakable polyethylene plastic pipettes that are well-suited for blood banking, urinalysis, hematology, wet chemistry, microbiology, and serology. Heathrow Scientific Transfer Pipettes come in packs of 500. 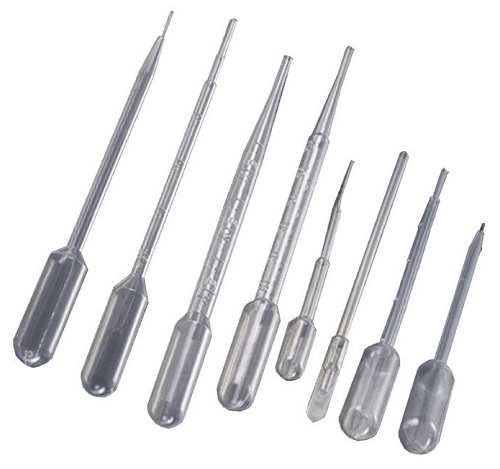 These popular non-graduated pipets are offered in a variety of of sizes and bulb styles. The accordion-shaped, high capacity bulb of the Bellows pipet acts as a reservoir for filling and expelling liquids. The bulb provides strong suction for use with viscous liquids. Extra Long Transfer Pipettes are available in 9" and 12" lengths, these pipets are ideal for reaching into large bottles, 24-hour urine containers, jars and cylinders. 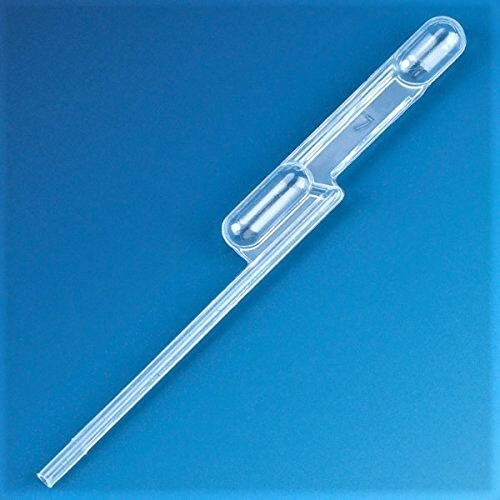 Exact volume transfer pipets are easy to use, economical and accurate! The pipets are produced from chemically resistant, low density polyethylene (LDPE) and are designed to dispense precise volumes. They are available in 5 popular sizes. Additional sizes are available on special order. These transfer pipets feature long, thin stems that are flexible and can be bent to access narrow openings as well as small diameter tubes. Offered in capacities ranging from 1.2 mL to 15 mL. 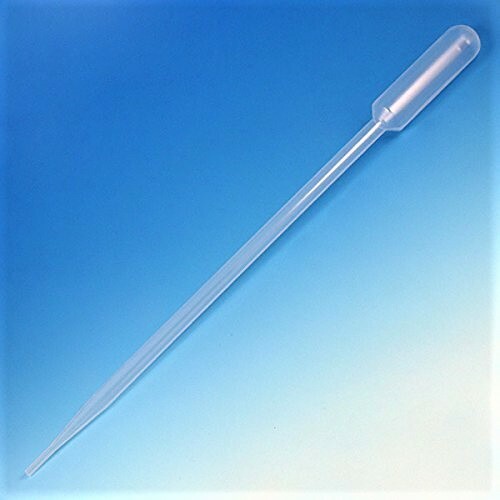 These dual-purpose pipets are used for small volume transfers and feature an integrated rigid paddle used for mixing, spreading and smearing.